Should a coach discuss the amount of playing time a player is getting with the parents of that player? In high school and college basketball in particular, this is a common question and provocative topic of discussion. I don’t believe that coaches at this level should be expected to justify their decisions to parents regarding who plays and how much they play or anything of that nature. This discussion should involve a coach and his player, and nobody else. I believe communication is very important and think that coaches should be open to questions and feedback from player on certain subjects. For example, a player’s attitude, whether on or off the court, is a welcome discussion point. Anything concerning a player’s progress, whether regarding academics or their overall effort on and off the court, can and should be talked about. The parents of many high school players have inquiries about the potential of their child to play ball in college. 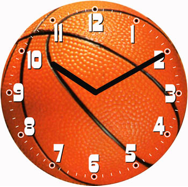 Of course, anything to do with the team schedule when it comes to practices or games, are open for discussion. As a coach, make sure to communicate openly to parents regarding the roles on the team and the expectations of those roles. Also, be open and forthcoming about how player evaluations, based on strengths and weaknesses, will be done. Playing time, though, requires no discussion, justification, or anything else. As a coach, you are in charge regarding any decision when it comes to who plays, how much, and who doesn’t play. No exceptions in this department. Whether right or wrong, the coach has to deal with the consequences, good or bad, of their decisions. The best coaches will play the players that they believe will give them the best odds of winning the game. Playing time is not a popularity contest and, therefore, the discussion of a coach not playing someone because he doesn’t like them holds no credibility. Yes, there are coaches who pick favorites, regardless of performance, but those coaches don’t last long. If a coach has been around for a while, chances are that he cares about winning far more than popularity. A major problem with allowing parents to become involved in areas of a team is a parent’s lack of objectivity. Parents are not able to look at the big picture, in part because they don’t have to. They are also not generally at team practices, meetings, or other team functions and, therefore, do not have access to certain details that a coach does have access to that influence decisions. A parent understandably wants what is best for their child, but a coach wants what is best for the team as a whole. On a very basic level, a parent does not understand the game in nearly the way that a coach understands the game. Watching the game does not necessarily mean that you know the game enough to make decisions. Coaches also decide on playing time based on chemistry. Parents often don’t realize that, in basketball, playing time has to do with not just playing the best players, but playing the players that work the best on the court together. To win, you need players who bring out the best in each other, not just themselves. Players can and should talk about playing time with their coach. When doing this, however, their approach should be asking the coach what they, as a player, can do to earn more playing time. An attitude like this is exactly what a coach should want. As a parent, realize that it is important to encourage your son or daughter to meet with their coach to discuss their concerns. By doing this, it will build an accountability in them as people, which is one of the most important lessons a parent will ever teach their child.